hello everyone ,I've an idea that make multipal PC combind search possiable. current ,it is only https://github.com/kerneltravel/everyse ... verything/ . 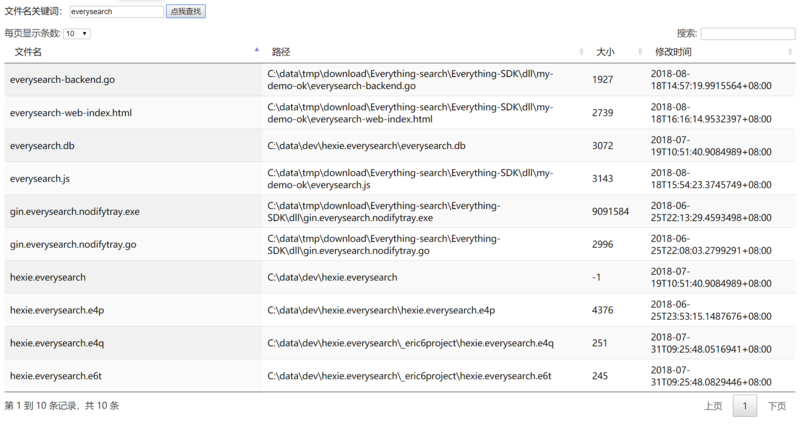 which is a webpage/webkit application, represent search result on local/Server webpage. and it 's sure possible to add feature: multiple LAN-PC instant file name search, and represent the result in the same single page. relays on SERVER-SIDE API. Hope some one who interested will fork this project of commit PR .and realized your idea.